As keeping chickens has become so popular we now stock 9 different brands of poultry feed! Our range consists of basic farm quality feed, GM Free feed and Organic feed. We also stock specific Ex-Battery Hen feed. 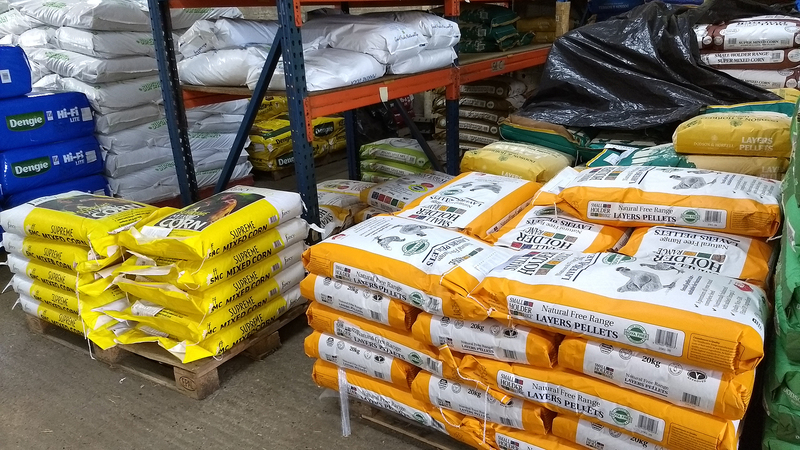 The brands we stock are: Dodson & Horrell, Heygates, Fancy Feed, Allen & Page Smallholder, Organic Feed Company, Allen & Page Ex-Battery Hen, Farm Gateand Adam Henson.Across all our brands we offer a choice of layers pellets, mixed corn, layers meal/crumb, chick crumb and growers pellets. We also stock a range of grit available in fine, coarse and oyster shell. All of these are available in different sizes; 5kg, 12.5kg or 20kg bags. 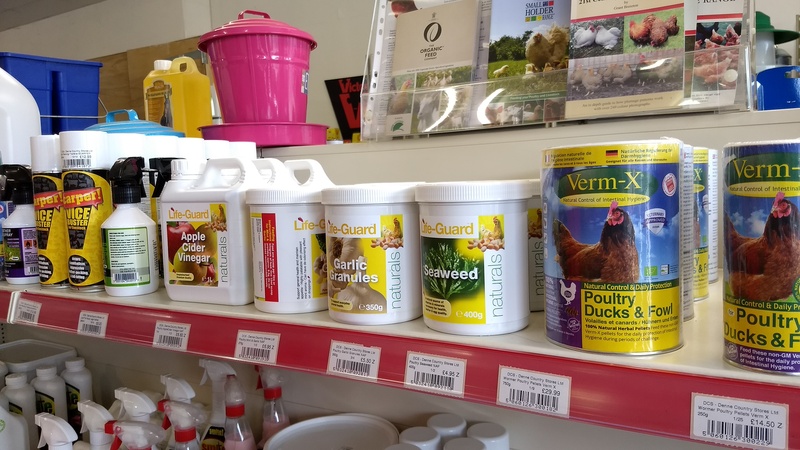 To run alongside our range of poultry feed we also stock an extensive range of poultry care products. We have lotions and potions, such as scaly leg cream and anti-feather pecking spray and Parasite Control products such as Verm-X Wormer and Total Mite Killpowders and sprays. 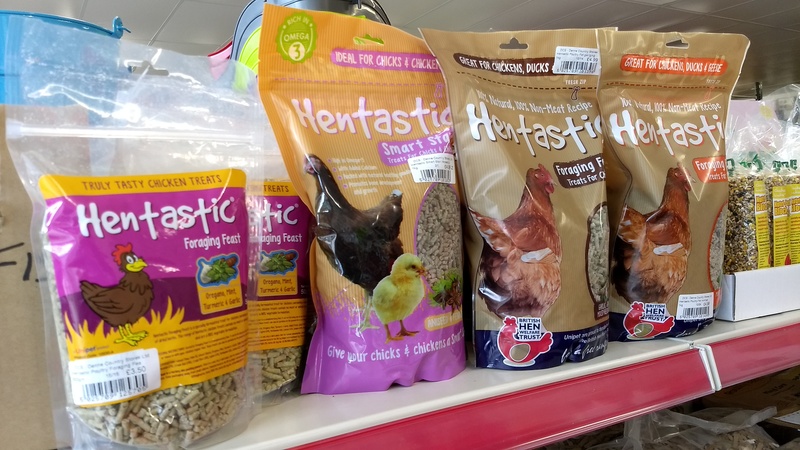 We also keep a range of tonics and supplements including seaweed, garlic granules, moulting tonics and keep well pellets to help keep your feathered friends happy and healthy!